Meals on Wheels Kitsap ... "More Than a Meal"
Meals on Wheels Kitsap has been the major provider of nutrition services for elderly persons age 60 years and older in Kitsap County since 1973. Meals on Wheels Kitsap provides meals and other nutrition services at eight community dining locations throughout the county and delivers nutritious meals directly to homebound elderly. Hot, frozen or nutritional supplement meals are delivered daily or weekly by volunteers. The organization's target population are frail, low-income elderly persons who depend on well-balanced meals for their primary source of nutrition. Food is a basic need. Good nutrition improves health, maintains functionality, prolongs independence, benefits quality of life, and saves money. Our meals provide good nutrition and our volunteers provide the vital human contact we all need. 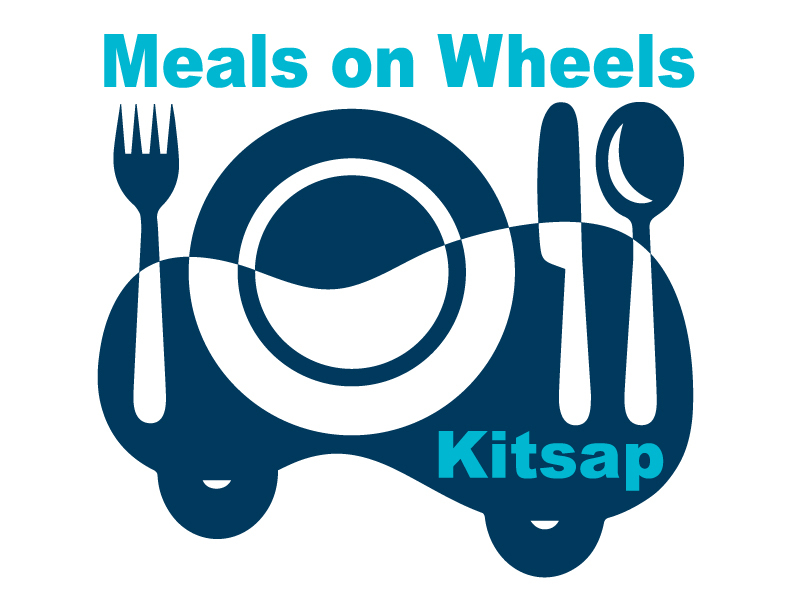 Download and print a current brochure to learn more about Meals on Wheels Kitsap. Sidney, Mrs. Jillson, and Ms. Mack share what Meals on Wheels means to them. We create a community of people living well while aging in place with good nutrition, independence, and dignity. We provide meals, nutrition, and support services to improve the health and quality of life for seniors and others with hunger and health needs in Kitsap County. Meals on Wheels Kitsap is registered with the AmazonSmile program, where Amazon donates 0.5% of the price of eligible AmazonSmile purchases to charitable organizations selected by its customers. Now you can support Meals on Wheels Kitsap when you shop. Click on the AmazonSmiles button at right to learn more. You can help Meals on Wheels Kitsap earn donations just by shopping with your Fred Meyer rewards card. Click on the "support" link above for full program details. All rights reserved. (c) 2012-2018 | We are a private, not-for-profit organization exempt from income tax under Section 501(c)3 of the Internal Revenue Code, Tax ID #91-1197374. We are also a registered charity with the Washington State Charities Division. Contributions are tax-deductible to the extent of the law. ​Please consult your attorney or tax adviser.